We're so excited to share with you the official list of the amazing group of designers joining us for our new edition this Nov 6th - 20th, 2016. The theme for this round is Amsterdam vs Australia: with the following influences: Vintage, Rustic, Antiques and Steampunk, always with an industrial background present. If you want Early Access 24h and enjoy shopping before anyone else, here our group, open only during these last hours. 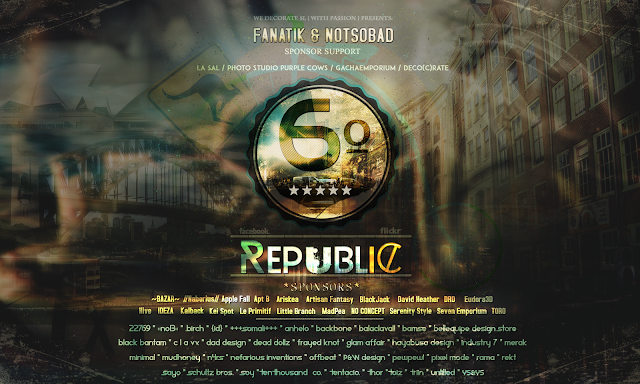 Copyright © 2015 6º Republic.Design By 6R Team & Websoham.